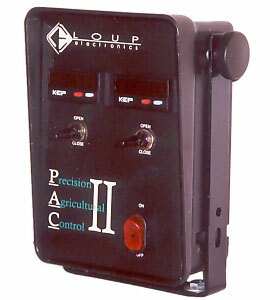 The Loup Electronics PAC I & II Consoles. Adjust drill for seed size changes. 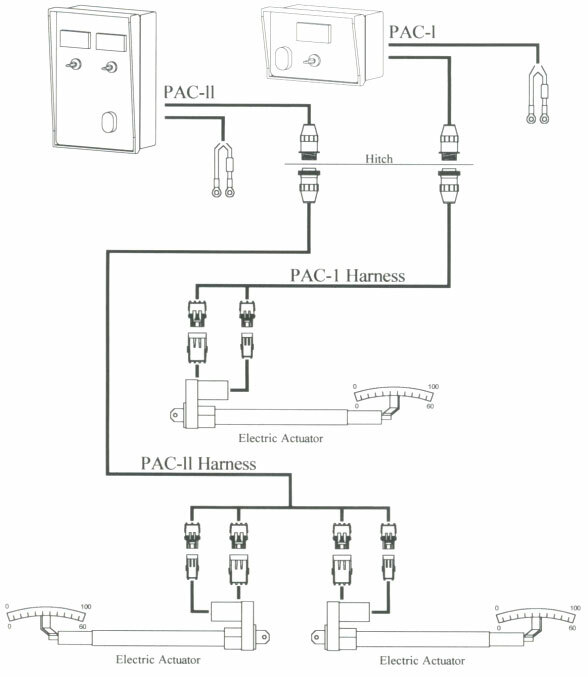 Fingertip control of control arm via an electric actuator. Ground Drive is not modified, no messy hydraulics. Available with or without position display. Position display available for 1 or 2 adjustment drills. 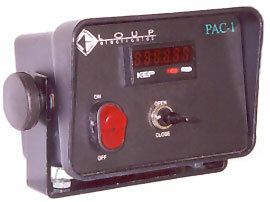 The Loup Electronics P.A.C. systems are used in conjunction with your Drill Monitor to adjust seed population from the seat of the cab. Available models include the P.A.C. 1, P.A.C. II and Half-P.A.C. The P.A.C. 1 for drills with one adjustment and P.A.C. II for drills with two adjustments include a position display that will correspond to the settings on the drill (i.e. 0-60 or 0-100). Half-P.A.C. models do not have the position readout and are available for drills with 1 to 4 adjustments. The P.A.C. systems use an electric actuator that is mounted to the adjustment area found on most conventional drills. This means that there is no modification to the existing mechanics of the drill so manual adjustments can still be made if necessary. With the flip of a switch, adjustments to the fluted seed cup setting on the drill are made; even while the drill is in motion. Once adjustments have been made, your population monitor will indicate if the proper setting has been obtained.